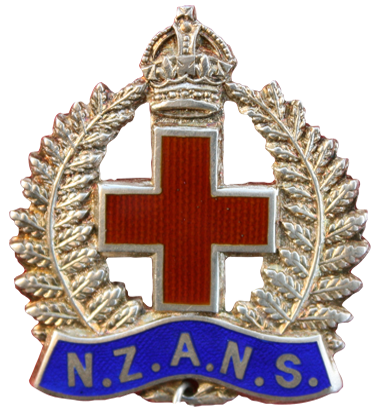 To view photographs of World War One New Zealand military nurses click the alpha surname below. One of my projects as part of the World War One commemorations is to upload identified/named photographs of New Zealand military nurses to this website. I am often asked to identify a nurse in a photo but as we all know this is not always possible. Photographs will be added as more are scanned and others received. I will endeavour to put as many as possible on this site to honour these brave and devoted women. 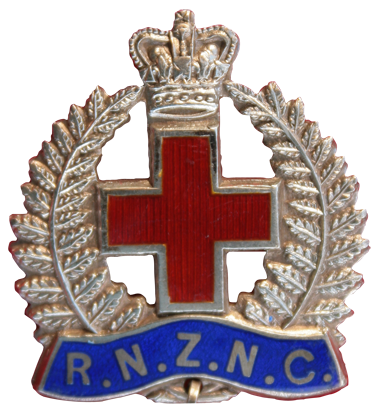 I do not have identified photographs for all the nurses who have served in the NZANS or the RNZNC as it is known to day. Therefore if you have a photograph you would like to have included please forward by email to info.nzans@xtra.co.nz or contact me at this email address if you have any queries. I would like to thank those who have sent me photographs, also members of the NZSG Nelson branch, who have allowed me to use photos from their research project on nurses of Nelson. Their research of over 50 military nurses is quite comprehensive and should you wish to know more please email your request to, nelsonbranch_nzsg@hotmail.com. Another source of photographs is the ONWARD project. The Onward Project aims to publish a photograph of every member of the New Zealand Expeditionary Force who served overseas during the First World War 1914 - 18. The next part of the NZANS-RNZNC project wil be to include photographs of WW2 veterans. Please note photographs will vary depending upon the quality of the original. To enter the gallery select the appropriate alpha as all photos will be loaded by surname.